I am pretty amazed at all the stuff that fits in here. 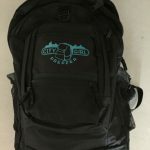 It’s a nice, heavy duty, back pack with the City Girl Prepper logo on the front in blue. It’s has lots of extra pockets for things you may want to add. But there is a lot in here already. 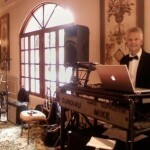 Need a DJ or Dance Instructor? If you’ve got back problems, or just need a relaxing massage, I’ve got a place for you! Hands On Wellness Center, located on LaPalma Ave in Anaheim Hills is the best! 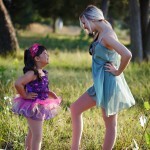 Are you looking for a great photographer? I know one of the best photographers in the area! It’s Lorrie Prothero! From individual, to group, to weddings, to pets and more, Lorrie can accommodate you. If you are in the Southern California area and have problems with your feet or ankles, this is the place to go! Anaheim Hills Podiatry is located in a beautiful area of Anaheim Hills. Owned by Dr. Jeffrey Katz, it is nice office with a very friendly staff.